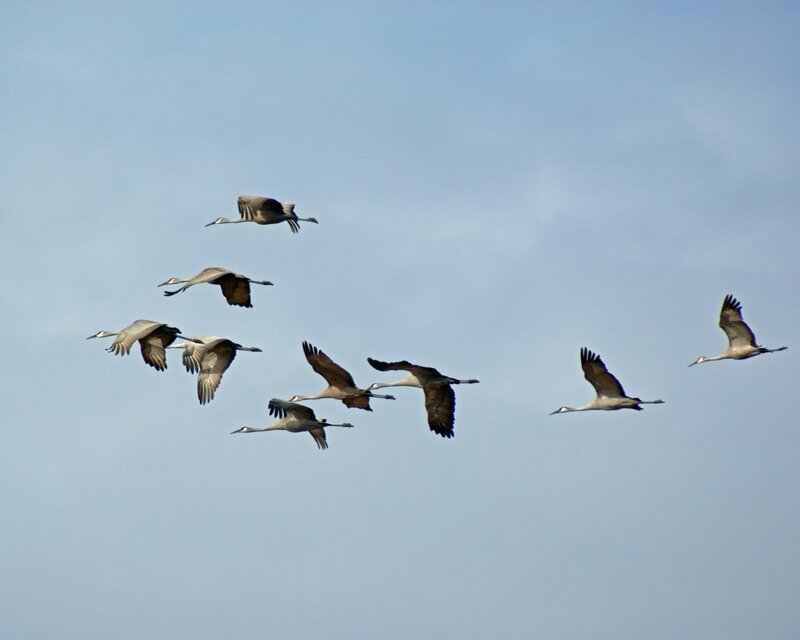 Group of Sandhill Cranes caught in flight. Seen 1/25/09 in Bridgeton, Cumberland County, New Jersey. 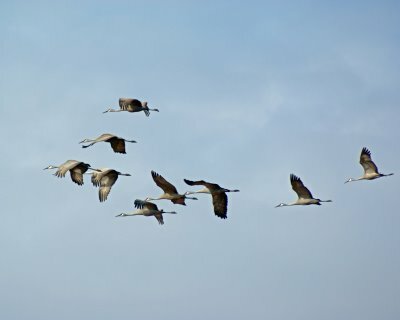 I actually saw one of these in Hamilton NJ, it just flew right over my head and i was in awe as I looked up to see it fly over me and couldnt figure out what it was but it looked like nothing normal for the area but it was there!